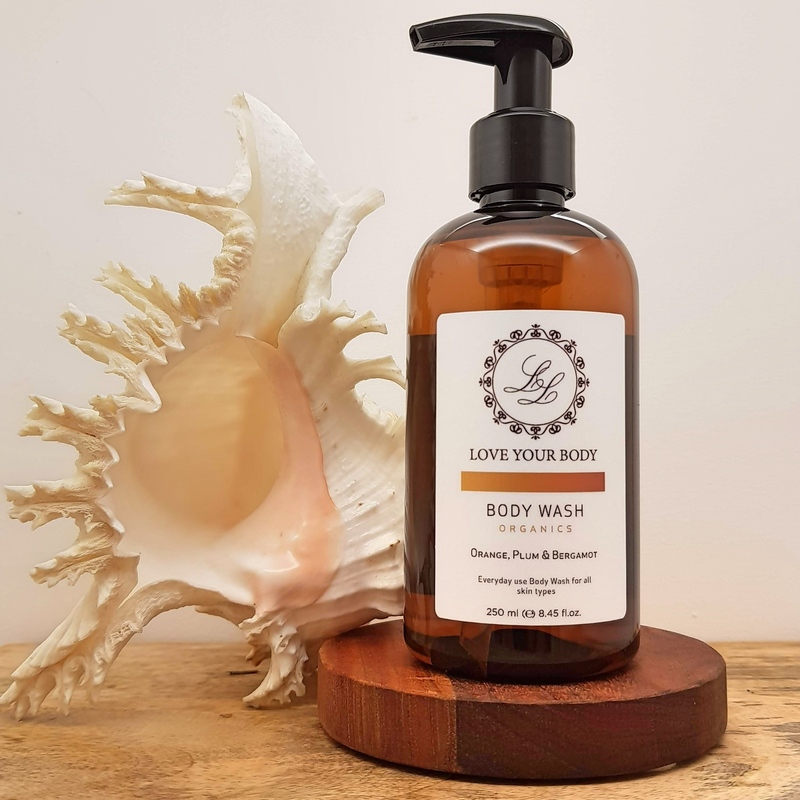 Our Love Your Body Wash is infused with the fine scents of Orange, Plum & Bergamot, inspired by the exotic blossoms at the peak of their bloom and embraced into exquisite fragranced beads giving you an intoxicating scent that lasts long after you step out of the shower. DIRECTIONS OF USE Pour a small amount of Orange, Plum & Bergamot Body Wash onto a wet loofah or your palm and apply on skin. Indulge in the rich creamy lather. Rinse. Play. INGREDIENTS Purified Water, Ammonium Lauryl Sulphate, Cocoamidopropyl Betaine, Glycerine, Cocoamide DEA, Phenoxyethanol, Sodium Chloride, Fragrance, Ethylhexylglycerin, Citric Acid, Sodium Citrate. Made in Australia. Products not tested on animals.